In 1997, Kirk ran for mayor of Austin. He was relatively unknown in the polarized politics of his city but his message was simple: Austin’s government had been dominated for too long by win-lose, all-or-nothing politics pitting the environment versus economic development. Austin could have both, he argued, and won the mayor’s race without a runoff. In one of his first acts as mayor, Kirk brought together the leading voices from both the environmental community as well as business and development groups. As a result of those talks, he proposed and passed a comprehensive bond package in 1998 that, among other things, raised $65 million for land preservation. Austin preserved more than 15,000 acres of land in the Hill Country – tracts of rolling hills and winding creeks that will remain pristine for future generations. Kirk also built a consensus around transportation improvements, passing more than $300 million worth of bonds for everything from highways to bike paths and sidewalks. He was a leading proponent of State Highway 130, the Interstate 35 bypass. He worked to reform and strengthen the region’s principal transit provider. He championed the revitalization of the downtown warehouse district, the construction of a new City Hall and community events center, the expansion of the Austin Convention Center, and the launch of the Long Center for the Performing Arts. He led the effort to secure the city’s long-term water supply. And he launched a preemptive effort by the city, area governments, the business community, and numerous advocates to begin cleaning up the region’s air quality. In 2000, Kirk was reelected with 84% of the vote – the highest percentage a mayoral candidate has ever received in Austin. 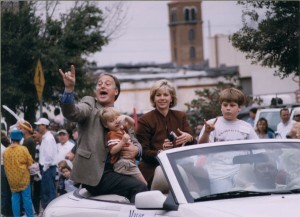 In November of 2001, Kirk stepped down as Mayor to run for Texas Attorney General. His campaign was unsuccessful, but the experience only deepened his commitment to public service. From there, Kirk served as chair of the Texas Advisory Board for the Environmental Defense Fund. 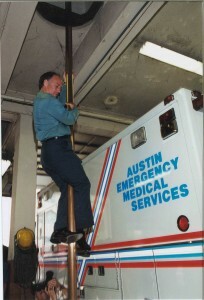 He also became chair of the Greater Austin Chamber of Commerce in 2004. And he became a sought-after speaker, traveling around the country and the world to describe Central Texas’ success at attracting creative, highly skilled workers and building a thriving 21st Century economy. He also chaired the 2004 campaign to build the first commuter rail line in Central Texas. Voters overwhelmingly approved the rail plan.